for download on November 1. Sometime toward the end of 2007, I put together a CD of New Year's themed music that I gave to a small handful of friends in anticipation of the upcoming new year. 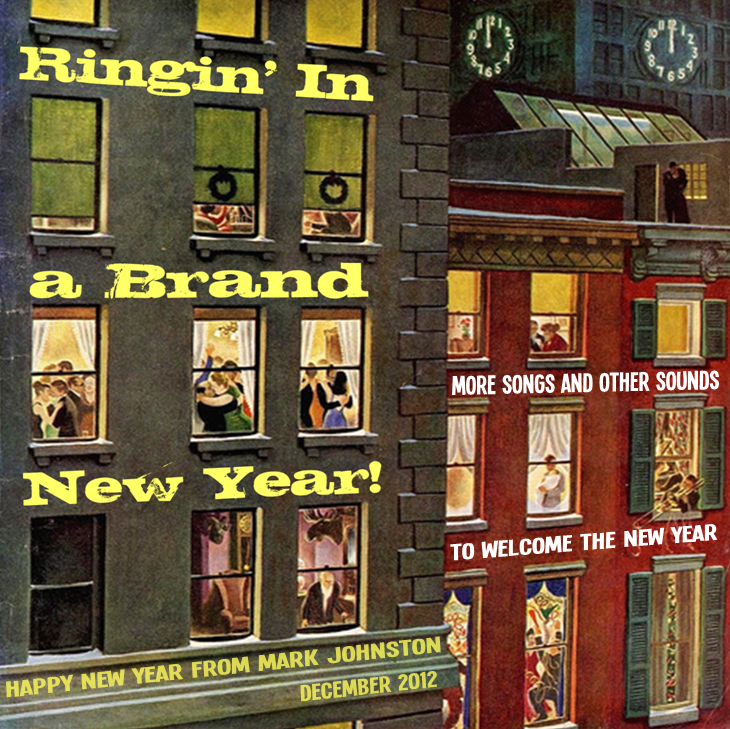 The previous few months had been challenging ones for me and several other folks I know, and I was sort of hoping a fun collection of New Year's songs might help us to kick-off 2008 on a more upbeat note. Unfortunately, the new year had other ideas, and, for me anyway, things quickly went from bad to worse. Now, I realize that my little CD mix had nothing to do with the spate of bad luck that ushered in that particular new year. In fact, a couple of tracks from that collection helped keep me going during some especially dark days, and I'm pretty sure the disc remained in my car's CD player until sometime in May that year. Nevertheless, I've felt slightly gun shy about doing a follow-up these past several years, even as I put together a critical mass of suitable tunes. Several weeks ago, however, I found myself with a little too much extra time on my hands and decided to throw caution to the wind. 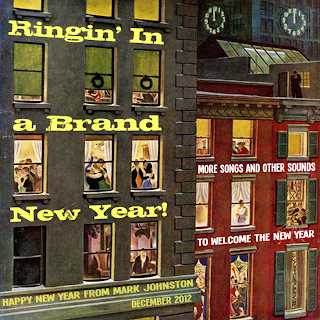 The result is my second collection of New Year's tunes, titled Ringin' in a Brand New Year, which I'll be posting on my holiday music website on Thursday, November 1. This mix lasts just under 70 minutes and features 30 tracks ranging from a 1912 recording by the Prince's Orchestra to more recent tunes from Death Cab for Cutie and The Dismemberment Plan. You'll also hear features on the origins of the New Year's resolution and how to find someone hot to kiss at midnight, as well as a couple of phone calls placed by President Nixon as he worked alone in the Oval Office one long-ago New Year's Eve. It's the perfect collection to play as you drive from one mall to another to return your unwanted gifts or take advantage of the post-Christmas sales this December. 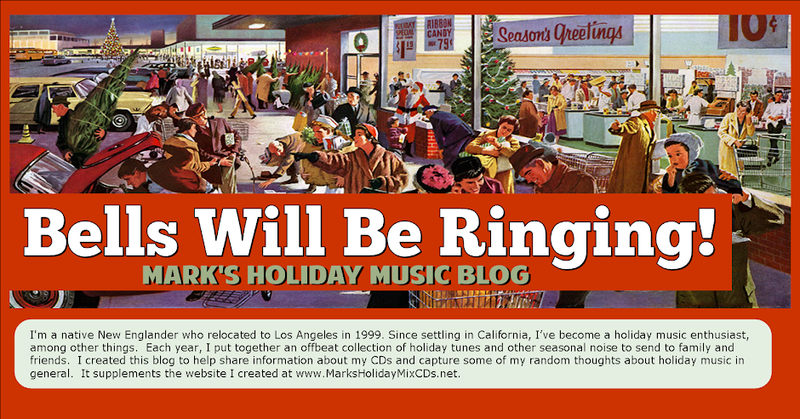 Watch for more details on November 1, and, in the meantime, feel free to download and enjoy a copy of my 2007 CD, "Happy New Year!" It's available now on the "Extras" page of my website.